News you’ve been wanting to hear has finally arrived. The iPhone 6s’ NFC chip has been hacked to work with other NFC devices. With the release of iPhone 6 back in 2014, Apple finally introduce brought NFC to its smartphone lineup. But sadly enough, the integration is only compatible with Apple Pay, nothing else. So if you were hoping to touch your smartphone with a Bluetooth speaker system with NFC in the hope for a quick and easy pair, you’re absolutely out of luck. 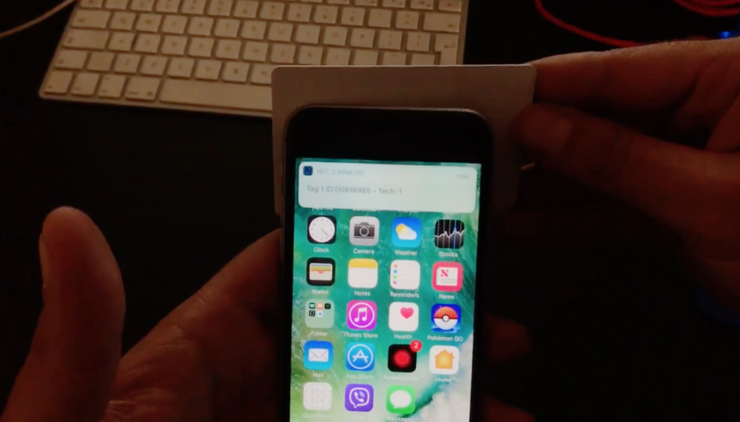 The subsequent iPhone releases leading up to this day have NFC built in for the exact same purpose a swell – Apple Pay. One developer who goes by the name of Elias Limneos, disagrees with Apple’s implementation and dug deep into the code of iOS running on an iPhone 6s, and managed to hack the NFC chip. With this, the iPhone 6s in question is able to identify tags that come close to the smartphone itself. This, on the other hand, opens up possibilities for the iPhone to do a lot more on the NFC end rather than just be a potato feature for a lot of users out there. Check out the video below and see for yourself how the entire deal works. Now, while everything looks great and all, it should be made absolutely clear that such a thing might never ever be implemented by Apple due to security reasons. Also, this hack was made possible on a jailbroken iPhone. This is something that is considered a luxury these days, given how quickly Apple is catching up with jailbreak developers. Nonetheless, the feat is amazing and gives us hope that new and awesome jailbreak tweaks that know no bounds will be ultimately released for users around the world. Just imagine the convenience of pairing your Bluetooth headphones with your iPhone using nothing more than a simple bump gesture. Just like how Android users do. Let us know in the comments section what you think about this news. Do you believe Apple will ultimately open up the iPhone NFC chip for developers?